I give up. OK, I don’t really give up. But I’m cutting myself a little slack. I had all these great plans for May, but we’re already over 2/3 done with May, and I haven’t accomplished the writing I had planned. It just wasn’t possible. I let slip so much other stuff in April to work on #NaPoWriMo, that I had to catch up–or at least try. 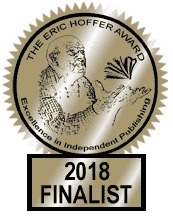 I’m so excited that Kin Types is a finalist for the Eric Hoffer Award. I didn’t dream it would do so well in a prestigious national award like that. But it did take up more time as I had to take it to social media. That’s the way of today. And then I watched the price of the book slide back up on Amazon to its original price. Funny how that happens. BUT I haven’t been doing nutten. Today Longridge Review published a short memoir piece, “The Secret Kotex Club.” Their focus is on memoir about the childhood experience–with adult reflection to give it some heft. I hope you enjoy it! May. I have used it in many blog titles, but I’ve also used it in several poem titles. It’s such a beautiful month to write about. Spring is here. I don’t want to miss it entirely. The gardener noticed that the hummingbird eggs have hatched because he saw the mother feeding them. She has tucked the nest into the leaves of the oleander so well that we can’t really see the nest, but he saw her hovering above and dipping her beak down as if she were feeding. I just watched her defending her nest against three wren-type birds. She chased them away. Pretty amazing to see that tiny fierce mama take on a whole gang to protect her babies. Every saguaro in the valley is still in bloom. I caught this one in front of someone’s house. I thought they might call the cops on me . . . .
We have flowers blooming on the ground, the outdoor tables, the bushes, and the trees. Perry watched a roadrunner behind our house, content to be inside, safe and well fed. This one is not at my house, but I liked it! And it’s not too hot out yet. Hot, but not too hot. To go with the new season, the gardener has allowed me to throw away his old gardening shoes, and he will wear the new Rainbows that the kids gave him. I did say I would probably write today about the ups and downs of this past year, but it’s still beyond me. When something is hard to write about in a poem I try a list poem. Here is a list even if it’s not a poem. February–my father had surgery for a catastrophic heart event last December. He had a 50% chance of getting through the surgery, but once through that phase, the expectation was that he would continue to recover. By February it was clear Dad was not getting better, but it didn’t seem as if the medical establishment was listening. To top it all off, my daughter moved to the other side of the country. April–Dad and I continued to talk several times every day. Both my children flew to visit Grandpa. September–what a blur–oh yeah, no wonder–I did the Tupelo Press 30/30 poetry project all month! I hope this year is stable and joyful and healthy for all!!! The kitties say HAPPY NEW YEAR!!! Click on (or hover over) the image for the caption. the museum of americana is an online literary review dedicated to fiction, poetry, nonfiction, photography, and artwork that revives or repurposes the old, the dying, the forgotten, or the almost entirely unknown aspects of Americana. It is published purely out of fascination with the big, weird, wildly contradictory collage that is our nation’s cultural history. They’ve published two of the poems I intend for my chapbook of poems based on my family history. You can read them here. I love how my interest in family history and genealogy and research connects with my partnership with poetry in these poems. On another note, if you bought a copy of Doll God, send me your address and I will mail you a sticker to complete your book cover. If you haven’t bought a copy, please consider it if your finances allow–either for yourself or if you think you’ll hate it (gotta allow for that) as a gift for someone you think will enjoy it. Amazon says it will arrive before Christmas. Have I ever told you what book existed before Doll God? It’s a scrapbook my daughter made for me two years ago. In it, she hand wrote many of my poems and she included posts from the adoption blog, Don’t We Look Alike, that we worked on together. In the slideshow you can see a sample of the scrapbook. Note the subtle cat-themed touches. And if you see a pic of a high school couple just remember that it’s easy to find stock pix online (big winky face). What Ever Happened to MaryGold? Remember MaryGold? That doll from the cover of Doll God? The doll you named? Yeah, her. That doll. Here she is with my daughter’s cat. Notice how she has a Mona Lisa smile on her face. But in the photo below she’s scowling. How does she do that? The reason I am bringing her up is that I’ve lost her! I tore the house apart last night looking for her, but all I could find was her muddy pantaloons. I know this sounds creepy, but I feel responsible, as if I might have done away with her. Why else would I find one article of clothing, but she is nowhere to be found? I did get a nice plaque in the mail from the people at the New Mexico Book Coop that sponsors the New Mexico-Arizona Book Awards, but it would have been nice to share it with MaryGold. That’s right: my “baby” is an award-winning book. Doll God won the New Mexico-Arizona Book Award in its category. I can’t help but say WOOHOO! And if I do say so myself, this book makes a great Christmas, Hanukkah, Kwanzaa, and [insert your holiday of choice] gift. I’ll be donating some autographed copies for the raffle at the Holiday Festival that the animal shelter is participating in, so if you’re in the Phoenix area, you can pick one up that way! Or you can click the book to get to Amazon. 6245 E. Cave Creek Rd. Doll God is a Finalist! Yesterday I opened an email listing the Finalists for the New Mexico-Arizona Book Awards and dismally scrolled through it, sure that Doll God was overlooked. A week that has been a little rough. 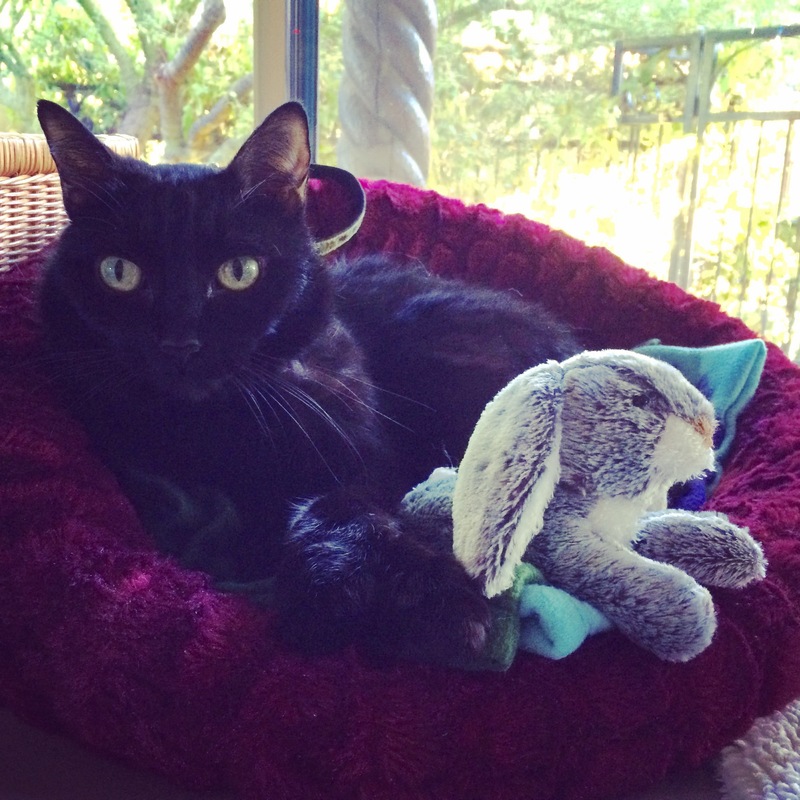 Remember my dear Nakana I brought home from the shelter two months ago? Suddenly her liver values have jumped dramatically. That apparently is BAD in cats. More tests on Monday . . . . Please send prayers or good vibes for her, if you are willing.